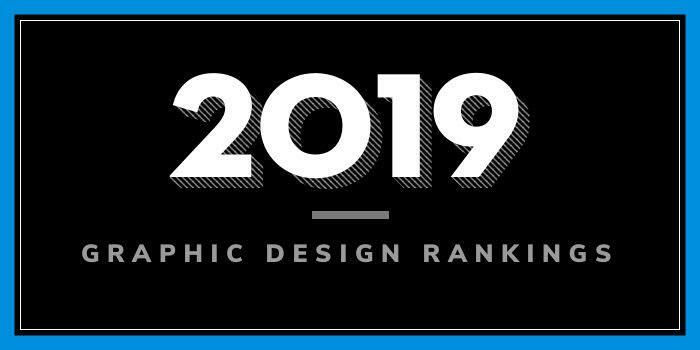 Our 2019 rankings of the top 10 graphic design school programs in Florida. For an explanation of the ranking criteria, click here. Ringling College of Art and Design (RCAD) was established in 1931 by circus baron, art collector, and real estate developer John Ringling. The school opened with 111 courses and just 75 students. Today, RCAD sits on a 35-acre campus and it is home to approximately 1,561 degree-seeking students from 43 states, DC, Puerto Rico, the Virgin Islands, Military Bases, and 58 countries. Established in 1963 and home to more than 68,000 students, the University of Central Florida (UCF) is the largest university by enrollment in Florida. It is also the nation’s second-largest university and one of America’s youngest institutions. The school, which has four campuses across Orlando and in Daytona Beach, offers around 230 degree programs across 13 colleges. The Studio Art program allows students to specialize in related areas such as book arts, drawing, drawing and printmaking, drawing and illustration, photography, and type and design. Studio Art majors may pursue a BA or BFA. The MFA is a three-year, 60 credit hour program that focuses on “the development of a concept driven body of related works vis sustained studio practice.” Students will study contemporary studio practices, such as performance art, installation, experimental time-based media, and fine arts. Graduates of the program will be “prepared to pursue active careers in the professional and academic arts. They will have developed a refined studio practice that provides them with the skills to find recognition and acclaim through presentations, exhibitions, conferences and performances in the contemporary art world,” says the school. University of Florida (UF) was founded in 1858 as the Gainesville Academy. It serves nearly 55,900 students enrolled in more than 30 certificates, 100 undergraduate majors and 200 graduate programs through dozens of departments, colleges and schools. The College of the Arts is home to the School of Art + Art History, which offers a BFA in Graphic Design, an MFA in Design and Visual Communications, and a Certificate in Graphic Design. A BA in Visual Art Studies with a Concentration within a specific media is also available. The capstone course for the BFA program culminates with a professional portfolio and promotional materials. The new MFA, known as the MXD, is a 60 credit hour program that consists of 24 credits in graduate design courses, 12-15 credits of open electives, six practicum credits, 15 credits in the MFA project, and three credits Teaching Art in Higher Education (for assistantship-funded students). Two- and three-year options are available for the MFA program. The BA in Visual Art Studies is a “flexible” degree program, which allows students to “more easily double-major or concentrate on another area of study completely outside of the arts.” Majors “enjoy a broad studio foundations program allowing experimentation across media while also focusing on a particular studio area, if they choose to. Full Sail University was established in 1979 in Dayton, Ohio as an audio recording workshop. The school eventually relocated to Central Florida in 1989 and is now home to approximately 15,000 students enrolled in 78 degree programs in the areas of Entertainment, Media Art, and Technology. Programs lead to an associate's, bachelors, or master's degree. Sample courses include Psychology of Play, Technology in the Entertainment and Media Industries, Graphic Principles, Digital Audio and Video, Digital Publishing, Typography and Page Layout, Interactive Media Design and Usability, Logos and Symbols, and Creating Brand Experience. The BS in Graphic Design also contains seven one-credit Career Modules that are woven throughout the curriculum. Note that a Media Design MFA is also available. Also offered online, this program highlights areas such as Brand Development, Design Strategy, Design Integration, Effective Copywriting, Organizational Structures, and Defining Client Needs. The MFA takes just 12 months to complete. Founded in 1851, Florida State University (FSU) is the oldest continuous site of higher education in Florida. The school serves nearly 42,000 students from every Florida county and 140 countries, making it one of the largest of the 11 institutions of higher learning in the State University System of Florida. With more than 275 degree programs across 16 colleges, FSU has ample degree options for artists and designers of all kinds—including graphic designers. The College of Fine Arts, Department of Art offers several programs for aspiring graphic designers including a BFA in Studio with a Focus in Interactive Media or Text + Media, and an MFA in Studio Art. Sample courses for Interactive Media include Typography, Virtual Environments, Web: Art, Design, Code, and Video Art. Text + Media courses include Typography, Art & Language, Printmaking, Intermedia, Digital Fabrication, Video Art, Web: Art, Design Code, and Digital Photographic Imaging. Students in both focus areas will have the opportunity to request personal studio space in the BFA Warehouse, where they can exhibit their work in a public gallery space. Additionally, graduating BFA seniors exhibit their work at FSU’s Museum of Fine Arts (MOFA) in their last semester. Students may focus in Design, Printmaking, Drawing, Electronic Media, Installation, Painting, Papermaking, Performance, Photography, Sculpture, Video, or a combination of these options. Other program highlights include study trips to New York, Miami, Atlanta, and New Orleans, Grad Studios, and Exhibitions in the student-run MFA gallery, local spaces, and the FSU Museum of Fine Arts. Founded in 1925, University of Miami serves 17,331 students enrolled in 138 bachelors, 144 masters, two specialists, and 68 doctoral programs through 11 colleges and schools. The College of Arts and Sciences houses the Department of Art and Art History, which offers a BFA in Graphic Design + Multimedia and an MFA in Illustration and Multimedia. Both programs offer internship opportunities, visiting lecturers, symposia on current topics, seminar discussions, gallery and museum visits, and business field trips. Students in both programs are expected to produce a portfolio for Design and Multimedia and have an exhibition at the end of their course sequence. Course highlights include 2D- and 3D-Design, Advanced Web Design, Business of Graphic Design, Corporate Identity, Digital Photography for Design, Illustration, Motion Graphics, Prepress Production, Publication Design, and Typography. During the senior year, students will complete the Senior Design Studio, followed by Graphic Design Portfolio. Graduates of the program are prepared to seek positions at design studios, ad agencies, marketing firms, public relations, and more. Founded in 1961, Florida Atlantic University (FAU) serves more than 30,000 students from 180 countries. The school, which has locations in Palm Beach, Broward and St. Lucie counties, consists of 10 colleges. The Dorothy F. Schmidt College of Arts and Letters houses the Department of Visual Arts and Art History, which offers BFA and MFA degrees in Visual Arts with a Specialization in Graphic Design and a Minor in Studio Art with a Concentration in Graphic Design. Students interested in the BFA program will begin their studies in the BA in Studio or BA in Art History program. Upon completion of 5-6 core art courses, Studio Art students must submit to the Graphic Design or Studio Art portfolio review. Students who pass the portfolio review may choose to matriculate to the BFA in Graphic Design or BFA in Studio Art. Once in the program, students will immerse in projects including posters, brochures, corporate identity systems, trademarks, books, magazines, and advertisements of all kinds. Pet the school, “students are given assignments much like those they would encounter in professional settings. Through each course in the program, students are encouraged to develop an appreciation of the various philosophical and ideological positions that could affect their design perspectives.” Course highlights include Digital Art, Interactive Design Lab, Poster Design, Technology Intensive, Special Topics in Graphic Design, Typographic Design Lab, and Visual Communications. Students may also select several electives. Sample electives include Alternative Media, Handmade Books, and Narrative Drawing. The MFA in Visual Art is “designed to further the conceptual development, aesthetic presentation, technical skill, and career goals” of MFA candidates. The 60 credit hour program consists of a combination of graduate design studios, seminars, art history courses, and directed independent study projects, culminating in a graduate thesis project, exhibition and document. Students may complete the program on a full- or part-time schedule. Florida International University (FIU) opened in 1972 with 5,667 students. At the time, it was the largest opening enrollment in U.S. collegiate history. Today, FIU serves nearly 54,000 students, making it one of the top 10 largest universities in the nation. The 24 colleges and schools of FIU offer more than 190 degree options, including South Florida's only public schools of law and medicine. The Department of Art and Art History in the College of Communication, Architecture + The Arts (CARTA) introduced its BFA in Art: Studio with a Graphic Design Track in 2015. The Graphic Design Track will prepare students “to have a strong base in visual arts with an opportunity to develop conceptual and technical focus in graphic design, creating hybridization in fine arts practice and design.” Students will graduate with a polished portfolio and work experience gained through the Department’s internship and other experiential learning opportunities. On Aug. 2, 1933, Tampa Junior College was transformed into The University of Tampa when its headquarters moved from the local high school to what is now known as Plant Hall. Today, the school serves around 9,300 students from 50 states and 132 countries, enrolled in more than 200 academic programs of study leading to both undergraduate and graduate degrees. The school consists four colleges including the College of Arts and Letters, the College of Natural and Health Sciences, the College of Social Sciences, Mathematics and Education, and Sykes College of Business. The College of Arts and Letters (CAL) consists of nine departments. Among them is the Department of Art and Design, which offers a BFA in Graphic Design. A Minor is also available. Program highlights include courses taught by professional artists, first-year art courses taken with the same cohort, 24-hour access to the art studios, and upper-level courses in the major/concentration taught by full-time faculty. Topics of study for the program include Foundations in Art and Contemporary Visual Communication, Foundational and Advanced Study in Typography, History and Theories in Visual Communication, Exploration and Execution in Traditional and Digital Design, Theory and Practice in Socially Responsible Design, and Collaboration and Entrepreneurship. Graduates of the program go on to land positions in Advertising Design, Art Direction, Digital Media Design, Experience Design, Identity Design, Interactive Design, Information Design, Packaging Design, Website/Mobile Design, and many others.